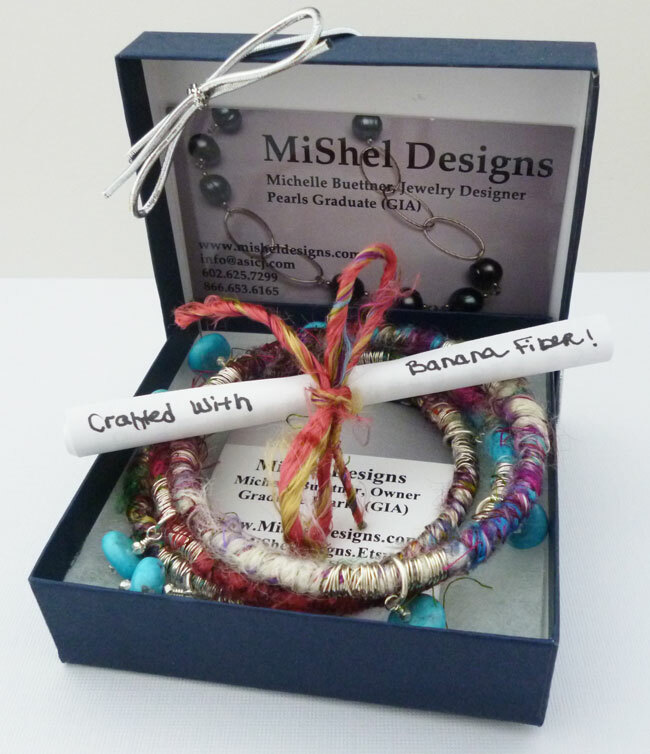 MiShel Designs: Banana Fiber is YUMMY!! Okay - I'm totally hooked on ribbons and yarns from "Darn Good Yarn"! Especially their Banana Fiber Yarn! It's so YUMMY and SOFT! 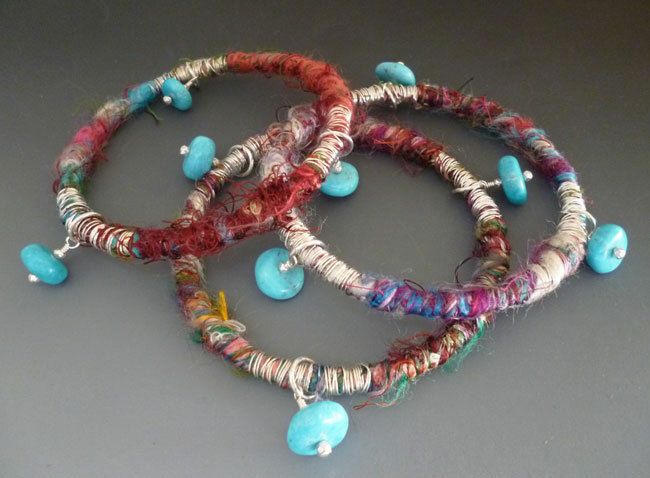 I created some bangles with this super cool yarn and wrapped it up with some .925 Sterling Silver Wire and sporadically added some Turquoise bead dangles for movement and fun! Funky, fun, soft, and FLUFFY – these bangles are your ticket to WILD! You can find these cool bangles hanging out in my Etsy Shop. Peace, Love and Funky Fibers!! P.S. 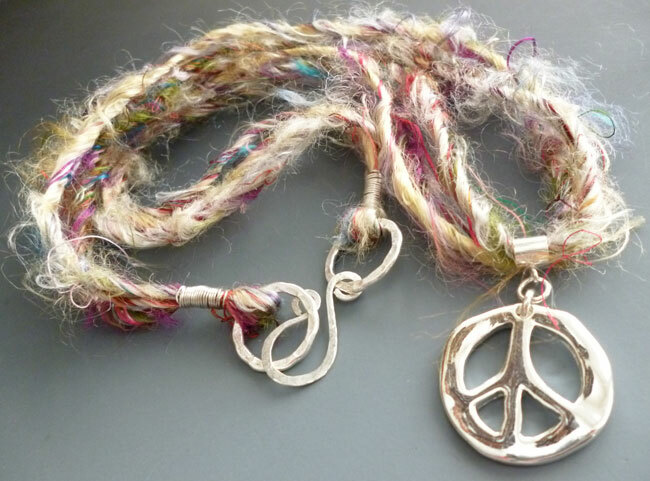 Check out this cool "Peace Baby" necklace I also created with some super soft Banana Fiber Yarn. This one was donated to a cancer benefit being held next month for a young woman who's standing up to Brain Cancer, but various ones will be up in my Etsy shop in June! 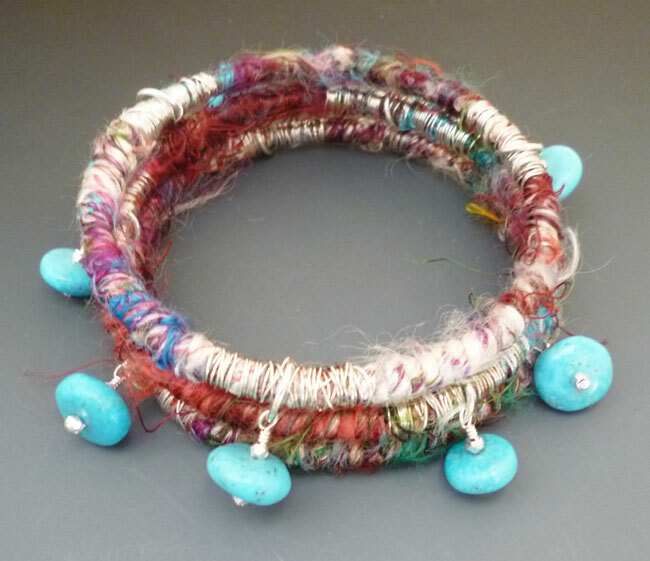 I just love your fiber worked pieces! These must be big sellers at shows!